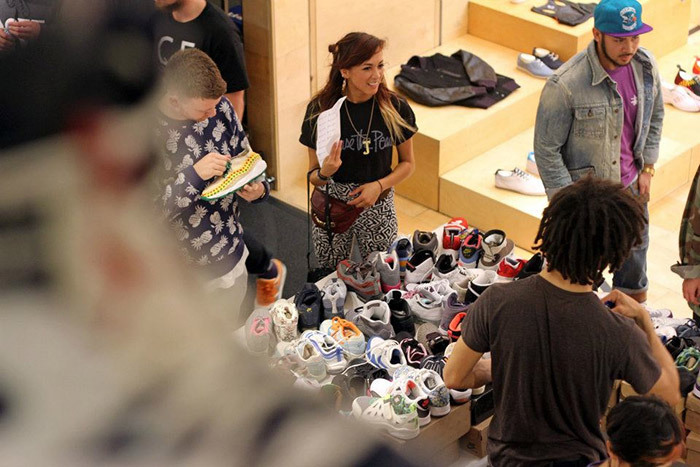 London’s favourite sneaker event returns as Crepe City puts the wheels in motion for their 7th sneaker festival. 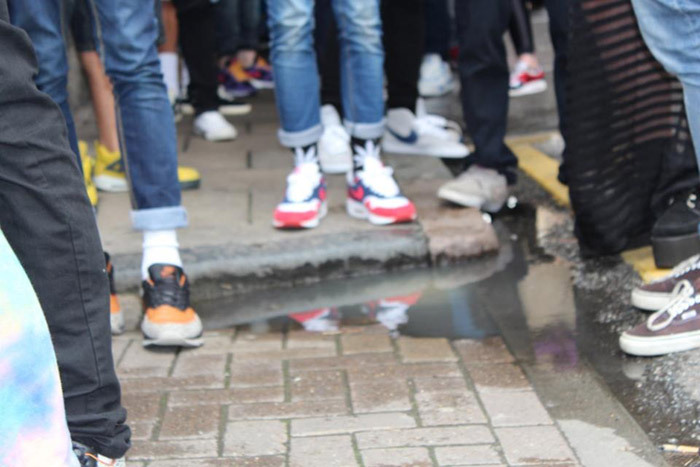 Ever growing in popularity, Crepe City is an occasion where sneaker fans can buy rare and sought after treats from other sneaker collectors direct. 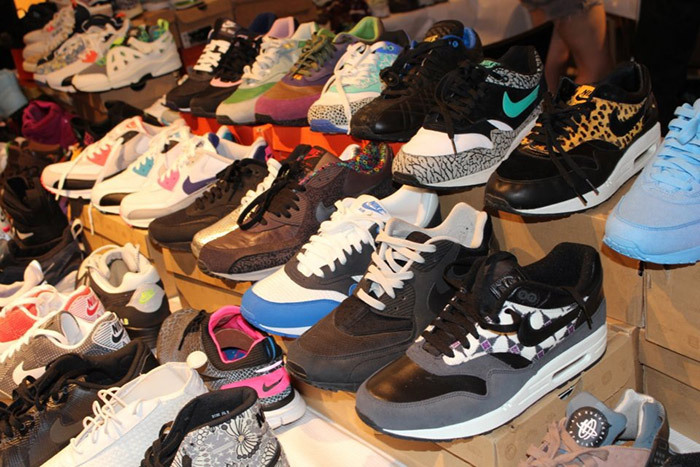 For their 7th outing, the Crepe City gang must be expecting a large turn out as they’ve put the event on at East London’s Village Underground, which is no small space. But, if you made it down to the last event, you’re probably breathing a sigh of relief that they’ve sized up the venue, as it was heaving. Expect a wild display of vintage Jordans, Air Max, Asics, Huaraches, Yeezys and all the other names that make a shoe fly off a shelf. DJs, food, drink, sneaker customisation and giveaways will keep the vibes going steady and give you no real reason to leave once you’re in, which is good. 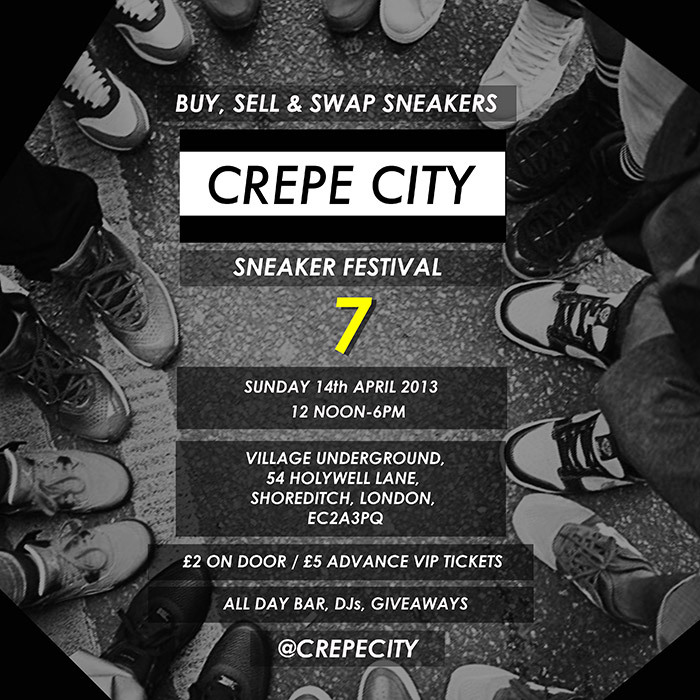 Check the Facebook event for full info and the flyer up above and make sure you stay up to date with Crepe City on Instagram and Twitter. We’ll see you there on Sunday 14th April – wear your Sunday best as we’ll be doing Street Styles.